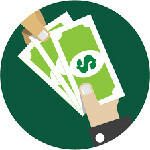 Payday loans are undeniably easy and convenient to secure. For this very reason, people the world over are using these short-term funding solutions to resolve cash flow troubles of all types. If you happen to be one of these consumers, you might be wondering, how do payday loans affect your credit score? This is one question that all short-term borrowers should give serious consideration. Although they are easy to obtain, the quick turnaround time for these loans can be extremely detrimental to consumer credit. If you take out a cash advance and find that you are unable to repay it according to the fourteen to thirty day terms that most payday loan lenders assign, your credit score will most likely be affected. In some instances, the lending company will extend the repayment term by several weeks, allowing borrowers to catch their bearings. These extensions, however, happen to widely regulated in some areas, making it more difficult for consumers to gain the extra time that they need to restore the borrowed funds. Additionally, each extension will often entail substantial fees. Another aspect of payday loan lending that has negatively impacted consumers is the wide availability of online payday loans. These are funding solutions that consumers can secure over the web, which means that they can bypass the tightly regulated companies that exist in their local areas. This is one way in which people with existing payday loan debt continue to build upon their debt even while local lenders are forbidden by law to issue them new loans. The major downside to using online lending companies is the very fact that there are almost no restrictions on these lenders or the offers that they make. Thus, while they are even more accessible still, they are also quite a bit more costly. When consumers fail to make the equally stringent payment deadlines that these lenders provide, their credit scores will be impacted. More importantly, a lot of these companies are almost entirely automated, making the process for renegotiating an extension a lot less personable and far more difficult to do then when dealing with a local and physical lending institution. The solution is not to eschew payday loans entirely, but to recognize these offers for what they truly are. Cash advances are risky for both the lenders that offer them and the consumers who use them and thus, they must be sought after and used with the utmost in prudence. These loans can actually help people to save money if they are used for the right purposes. For instance, securing a loan of this type to make an urgent payment on your utility bills might help you to stave off the excessively high costs of service termination and the ensuing restoration fees. Getting a loan of this type to buy a new pair of shoes, however, will have no real financial benefits for the borrower. 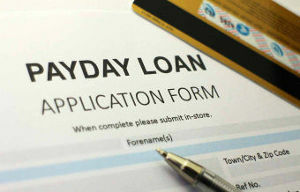 Consumers, must ultimately adopt wiser borrowing habits when it comes to using payday loans. If they are relegated to using online companies due to laws prohibiting lending of this type in their areas, they must screen companies and their related offers with the utmost care. 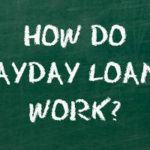 When payday loans are taken out, they should be diligently repaid according to the schedule that has been set forth in the loan terms. If they are not, this debt is then reported to credit agencies as a default on a personal loan which can have a significant and very negative impact on individual consumer credit scores.